Just a few minutes back, we had reported that Vijay's 63rd film is most likely to be directed by Atlee, and produced by AGS Entertainment. If this news happens to be true, then, it will be Vijay's first ever association with AGS Entertainment. 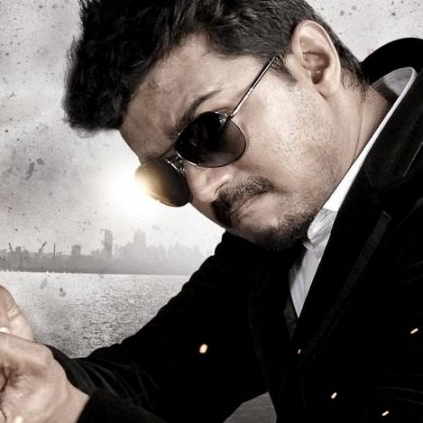 Archana Kalpathi, of AGS, has revealed in many of her interviews that she is an ardent fan of Thalapathy. Interestingly, there is also a wall poster of Vijay's Kaththi, at the AGS Entertainment' office. She had expressed her interest to work with Vijay very soon, and it looks like that time has come. However, we have to wait for an official announcement from the team. Vijay & Ajith Fans: How Should They React To Tamizh Padam 2 - Venkat Prabhu Reveals! SARKAR Vijay SPOTTED: Varalaxmi Reveals Thalapathy Vijay's Stylish Look! People looking for online information on AGS Entertainment, Atlee, Vijay will find this news story useful.